Do you have a special feeling for your hard-earned wine collection? Then, you should learn how to store wine correctly. If you store the wine in the incorrect method, your precious wine can be ruined. In this article, I am going to discuss how to build a wine cellar in your basement. Build the cool wine cellar in your basement after ditching the fridge. In many basements, there is an unfinished desolate corner. You may see that the dirty towels are scattered across the floor of the basement or a few broken logs. You need to empty the place and if the place is a little humid and cold, you can utilize the place as the wine room. Kids will find another place for their hide and seek game, don’t worry! Nobody goes in that corner after all. A little amount of money can avoid the fear of ghosts. Yes, I know it is tough enough for you to turn out a dead space to an entertainment zone, but the cellar experts can easily install wine cellar racks. And, you will get a place where your wine can survive happily. Traditionally, to preserve wines and insulate these you need to have a cool place and the underground place are better than any other spaces. Instead of building a new room, you can turn out the dull room rightly into the wine room. You can customize its design as per your wish. This way, you can make the desolate corner into an entertainment place. The right temperature and right humidity can hold the place as a wine room. In order to keep the wine fresh and perfect, you need this place. 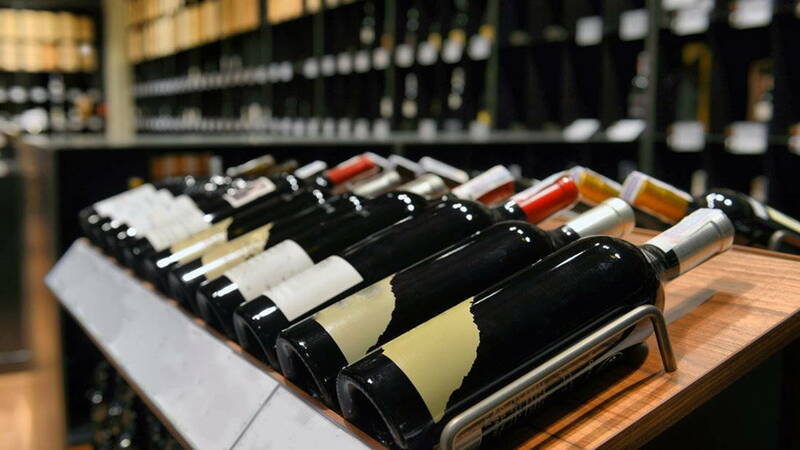 Here are a few guidelines to create the right ambiance for advanced wine storage solutions. The wine cellar needs a particular temperature (50 degrees Fahrenheit to 60 degrees Fahrenheit) to preserve wines. In such a case, the basement is the best location as it is situated in the ground and away from any daylight features. The shady and corner position of the basement can become the perfect place to keep wines. This setup is ideal because of its benefits for the underground exterior walls. It helps with better insulation. You need to ask yourself the reason for building the wine cellar. Think about how many bottles you are planning to store there and of course, how much you space have in your basement to place the wine cellar. If your storage list is long, you need a broad space. You should consider building large wine cellar racks. Make it a cool room with ideal humidity. You need to use materials that can withstand the moist environment. Wood can resist cracking and wrapping. Avoid plywood. As basement floors can be damp, use wood material which provides concrete flooring. Climate control is the main challenge with the wine cellar. So proper insulation is a must. You need to insulate the outside and inside wall and the ceiling. I recommend you to use fiberglass, cellulose, wool, and cotton as insulators. Even though insulation is the key factor, ventilation is also needed. To regulate airflow, there should be vents. Why do you need to build the wine cellar? There are lots of good reasons. Follow this! Having a cellar is like getting almost ready for the house party. It means that you have a handful of options of both vintage and young wines that you are familiar with. This can add some magic to your dinner and add more fun when you are getting together. You don’t need to have a wine merchant. The wine cellar means that you already have the delicious bottles that can be served in the last minute of your dinner. Stock up wine means that you have bought these at a reasonable price that can be sometimes hard to find. Suppose you buy ten to twelve bottles of interesting wine, you will be able to stock up these and able to taste bottles whenever you want throughout the year. And, you will also check the wine’s maturity as times goes by. As you can see, when you are looking for a cellar for your wine collection, many aspects you should consider. However, the above specific instructions will help you to build the cellar. These instructions could save your precious bottles of wine. Neil Smallman is a well-known blogger who has been associated with a reputed magazine in Australia. He loves to share her knowledge and opinions in the form of creative articles, and blogs on health and lifestyle including wine cellar racks, interior decoration, and a healthy diet. He has penned down a number of articles on wine storage solutions.